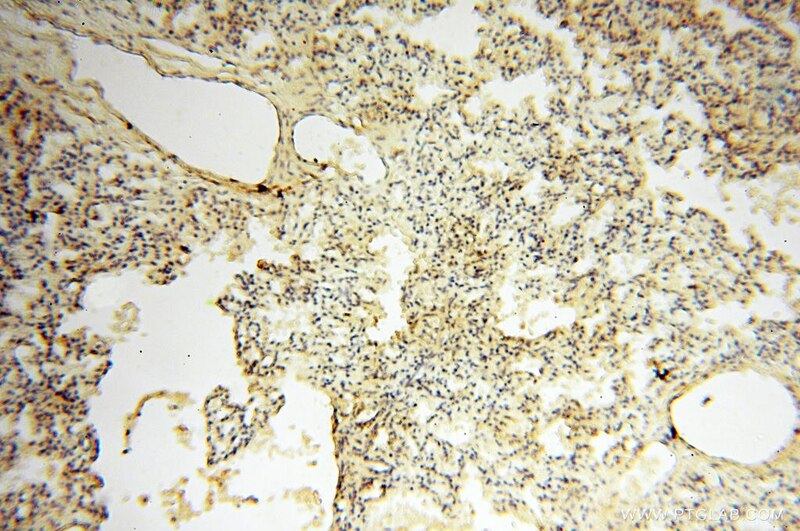 Immunohistochemical analysis of paraffin-embedded human skeletal muscle tissue slide using 13504-1-AP( TNNC1 Antibody) at dilution of 1:200 (under 10x lens). 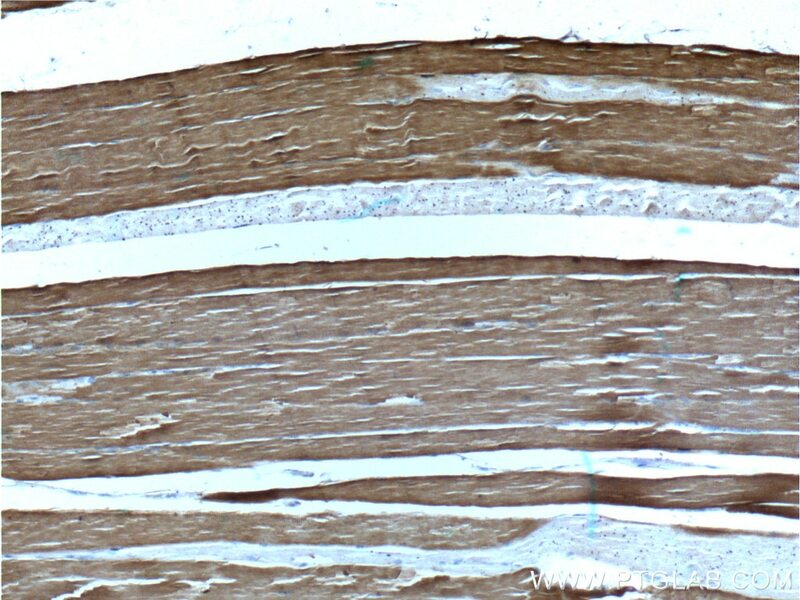 Immunohistochemical analysis of paraffin-embedded human skeletal muscle tissue slide using 13504-1-AP( TNNC1 Antibody) at dilution of 1:200 (under 40x lens). 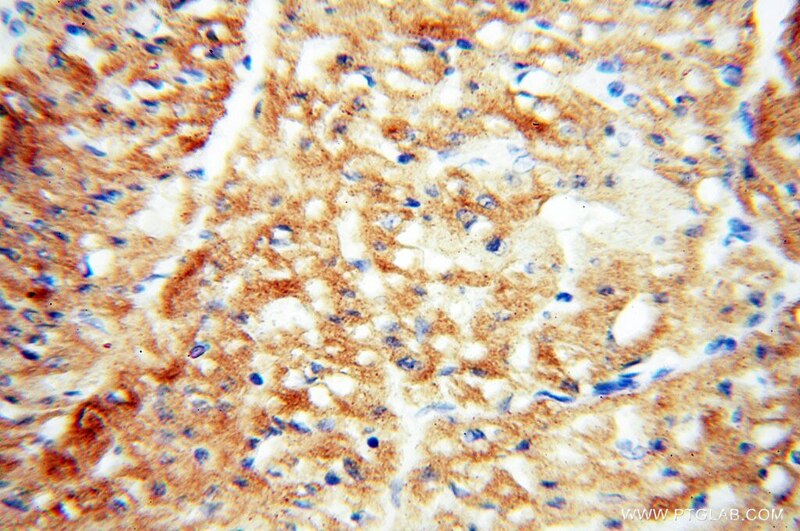 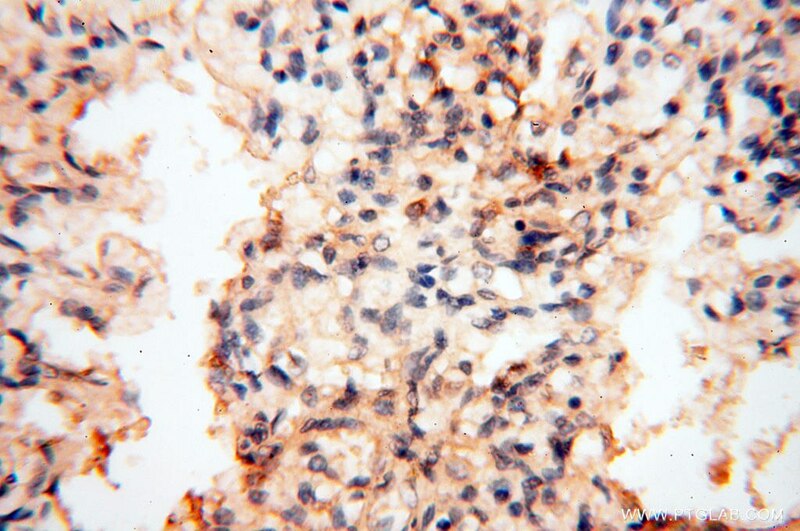 IP Result of anti-TNNC1 (IP:13504-1-AP, 4ug; Detection:13504-1-AP 1:600) with mouse heart tissue lysate 4400ug. 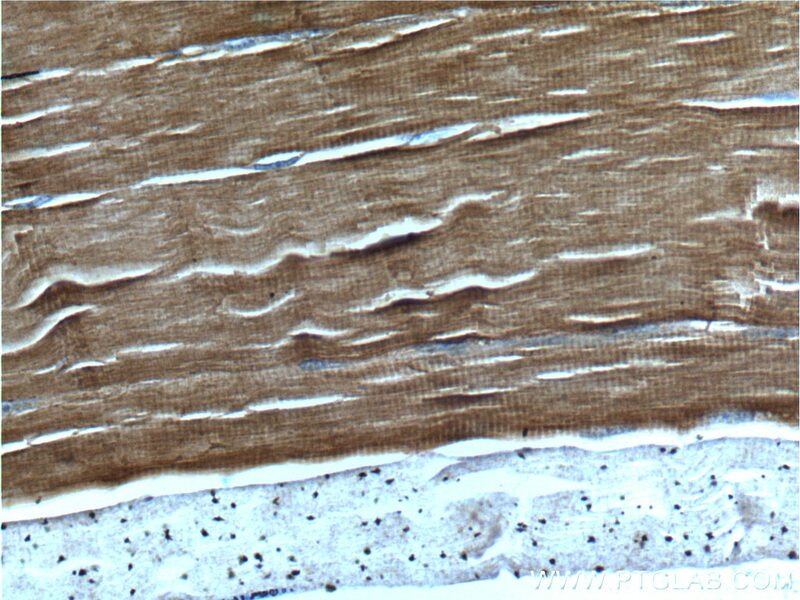 Troponin is a central regulatory protein of striated muscle contraction, and together with tropomyosin, is located on the actin filament. 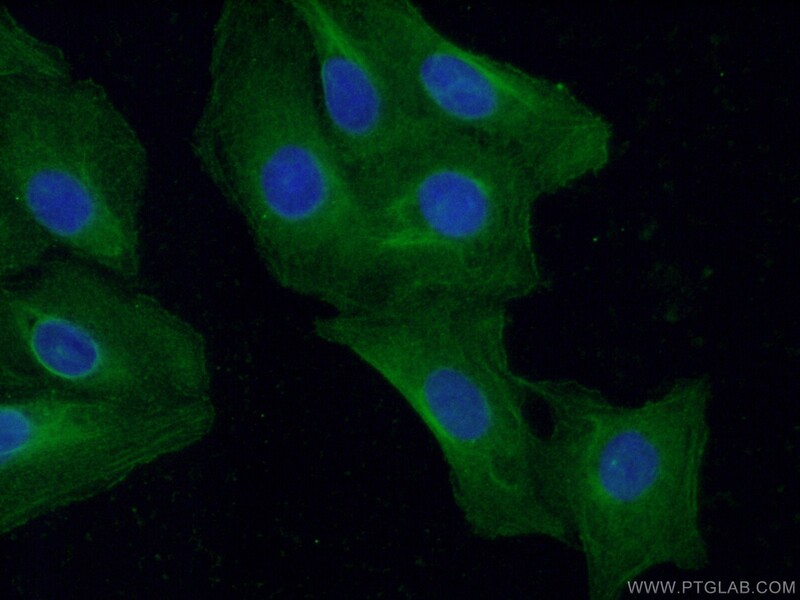 Troponin consists of 3 subunits: TnI, which is the inhibitor of actomyosin ATPase; TnT, which contains the binding site for tropomyosin; and TnC, the protein encoded by this gene. 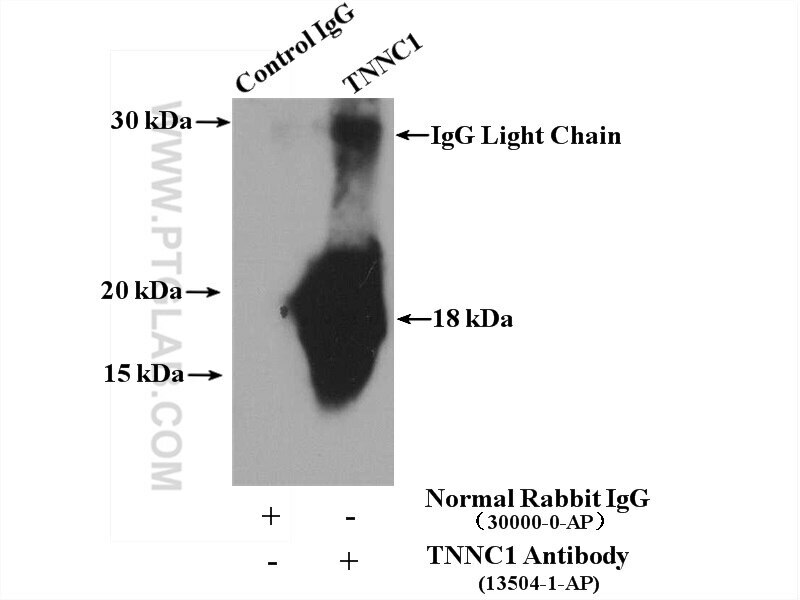 TnC plays an important role in excitation-contraction coupling and is the primary target of compounds such as levosimendan that augment Ca2+ responsiveness of the thin filament. 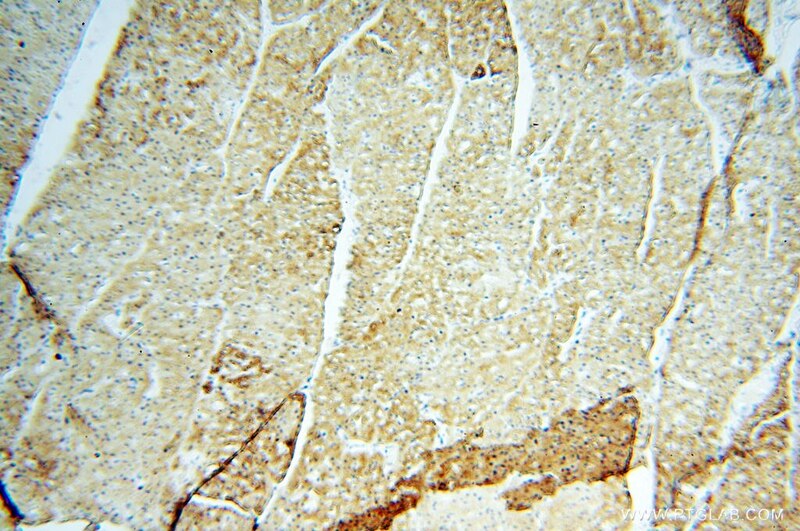 iTRAQ-based proteomic analysis reveals recovery of impaired mitochondrial function in ischemic myocardium by Shenmai formula.